Lately, I’ve been showing off this bright orange cleansing device on my social media accounts. During that time you’ve probably wondered what is that thing, and why am I using it. 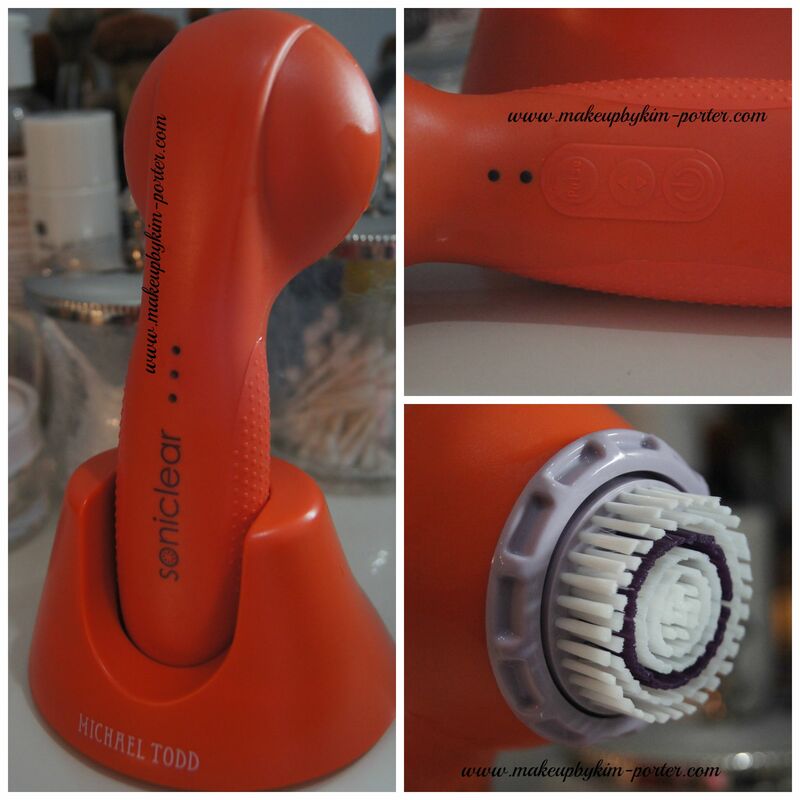 It’s the latest sonic cleansing device from Michael Todd, Soniclear Elite Tangerine Dream Cleansing System. What is the Michael Todd Soniclear Elite Cleansing System? I’ve used sonic cleansing systems previously, but the Soniclear Elite is different. The brush heads are made with built-in antimicrobial protection to aid in the reduction of bacteria growth in the bristles between uses. It also has six total speeds distributed evenly across the two brush heads: a gentle one for the face, and one with a lot more power for the body. You’re probably wondering how well did the Michael Todd Soniclear Elite Tangerine Dream perform? I’ve used both the facial and body brush heads, and of the two, the facial brush head is a personal favorite. At first, the Soniclear Elite brush head for the face was too abrasive for my not so sensitive skin; it hurt to use. Therefore, I requested a different brush head that worked much better! With the new brush head, my skin didn’t hurt or feel raw post use. It was actually smoother, clearer, and a lot brighter, and of course, cleaner, thus allowing my other skincare products like serums and overnight masks to absorb much better. My favorite time to use the Soniclear Elite is after I remove my makeup in the evenings. The Soniclear Elite combined with my favorite cleanser does a good job of making sure any makeup residue my makeup remover didn’t catch is gone. Also, since this device has antimicrobial brush heads, I didn’t experience any breakouts post usage, which I would experience when using my other sonic cleansing device. Now, let’s get the body brush for the Soniclear Elite. It worked well to help exfoliate and soften the skin on areas like my elbows, knees, and heels of the feet. I’ve tried using it on my entire body, but felt like it just took a lot of time, especially in the mornings; therefore, I suggest saving it for use in the evenings. Overall, I am happy with the results achieved from using the Michael Todd Soniclear Elite Tangerine Dream. If you don’t suffer from sensitive skin, and you’re looking for a skin-cleansing device with anti-microbial brush heads, multifunctional characteristics that help keep your skin on your face and body clearer, smoother, and cleaner, I suggest looking into the Soniclear Elite. The Michael Todd Soniclear Elite Tangerine Dream is available for $159 on http://www.michaeltoddusa.com. What do you think about the Soniclear Elite Tangerine Dream Cleansing System? This sounds amazing – I would definitely consider this when my Clarisonic dies! I'm so happy that you mentioned getting a different facial brush head for the device. I am having the same problem with the brush head that came with my non-tangerine version of the Elite, so I seldom use it. I'm asking if they can send me the brush head you received the second time! My Soniclear Elite is lavender and purple. I need to get my review written up. I really like mine but after using the FOREO I realize how aggressive it is to my skin. I can't use it very often only when I need a good exfoliation! The orange color is cute! It's a great brush. That orange color is so cool! What a great color. Mine is purple which fits my gray bathroom perfectly. I'm glad to know they make a gentler brush. I love mine. Love the orange color too! My recent post StriVectin Instant Revitalizing Mask + A Giveaway! I've been looking at this and it's nice to see a more lengthy review on it! The color looks so fun! I have sensitive skin so I would have to opt for a softer brush too. Great not to have to charge it often & minimal brush head changes. Great color! I love mine – it lives in the shower now, because it's waterproof, and that's where I can use the face and body brushes best. I want to buy the handle for it, so I can use it in those harder-to-reach places! I love my Soniclear! I am glad you enjoyed it. This sounds like a great brush, nice to know it has a body brush option. This sounds wonderful. I like that there's one for body too. Hmm maybe I should consider this instead of the Clarisonic! How can you purchase a softer brush head? 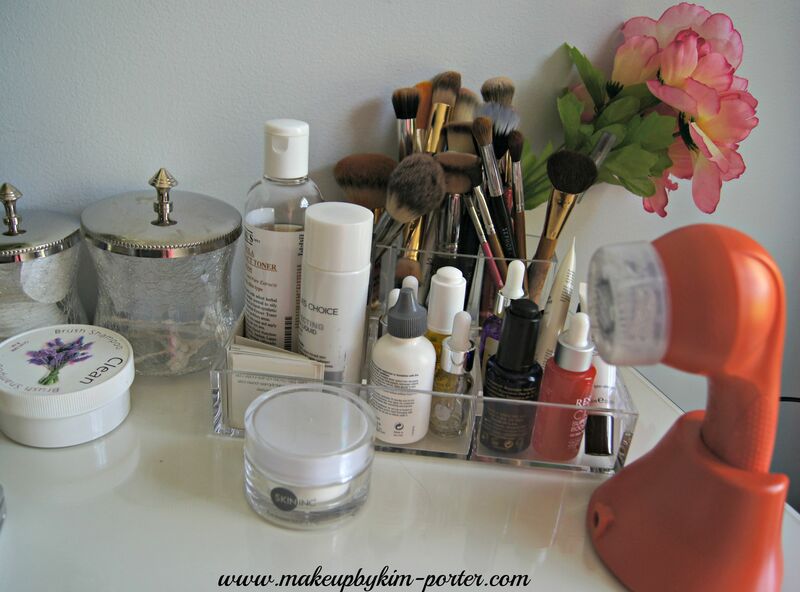 Do you request a different brush, for sensitive skin? I'd suggest shooting a message over to customer service or giving them a call. I would be for afraid to try it on my face even though I need it. I'm bad at removing my makeup each day. But I would definitely try it on my body. I've never heard of this before! Why would you be afraid to try it on your face? It's actually good to exfoliate the skin., especially if you're not good at always removing your makeup when you wear it.